Designing an on-line Gift Shop is often the last thing a small business wants to take on, as their professional interest is likely not in learning to code such a thing. Companies like Weebly and Rakuten are about solving the Supermarket Math problem of making it easy to have a website, including one that features a shopping cart with checkout features. On the other hand, a Code School is where people go precisely to learn how to implement such services as an on-line Gift Shop, and moreover schools traditionally come with "swag" advertising their brand (T-shirts, hoodies, mugs, backpacks and so on). So the question becomes: does a given Code School "eat its own dog food" and roll its own Gift Shop, or does it outsource to CafePress or whatever? In order to show the world that Code School students are learning the skills, any number of virtual Gift Shops might be kept on the shelf (on the rack) for students to hack on. A way of building one's profile is to showcase one's contributions to said projects. Some of these on the shelf shopping applications will actually do front line duty in real time. A given Code School might swap out the Ux on occasion. An existing open source project, such as Shoop, Oscar or Cartridge written in Django + Python, might be a good starting place. Students learn by modifying an existing project. Other applications may permit a kind of "virtual shopping" wherein shoppers "practice" using the Ux for free, a way of testing features and building community, with virtual money against virtual goods. These prototype test beds might only face in-house, but why not make some public facing, as well as open source? Good advertising, kudos to the school, if the shop shares some good ideas and/or interesting implementations thereof, perhaps even in "exotic" computer languages, such as Haskell and Go. As a student moves through schooling, rewarding that student's progress with gifts makes a lot of sense. Gifts may be tools of the trade, like a microscope or telescope, faster bandwidth, better access to the Internet, a personal workspace, an office. In the military, people say "rank has its privileges". These privileges may be granted without need for cash awards. Code Schools might think in terms of linking various milestones to specific rewards, perks or privileges. 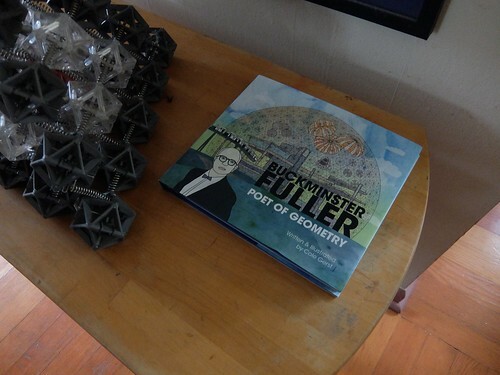 Cole Gerts, Poet of Geometry, 2013 Option-G Visual Communication ISBN 978-0-615-87344-2, page 13. 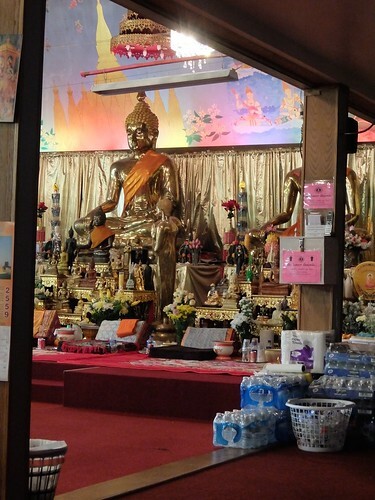 This afternoon I attended a final presentation by Alan Potkin, during this April, 2016 trip to Portland, this time to elders of the Laotian community at a local Buddhist temple, on NE 133rd and Sandy. He'd presented to Wanderers at the Pauling House on Hawthorne, and to Thirsters on E Broadway, in the previous week. I've driven by that temple campus many times, usually on my way to or from Costco, on NE 138th, but this was my first time to see the inside. Alan used a screen and computer projector, and we enjoyed amplified sound, both for his voice and the recorded video segments, including some in Lao. A treat I'd not experienced before was Alan's head first dive into the epic Ramayana itself, while scrolling through the temple murals his team had helped to recreate. The story (ພຣະລັກພຣະຣາມ) is known to some Laotians, and Wikipedia calls it the "national story", but it is perhaps not as core to the national storytelling as among some other Buddhist and Hindu nations, elsewhere in Asia? I'm no authority on these matters myself. Alan had rescued another version he found tucked away in a cabinet of a forgotten old wat, forty three holy books in the khom language, which he's hoping to see translated into ordinary Lao. Only those schooled in the older traditions, such as monks and other scholars, can read khom. When it comes to mega-projects, such as hydro-dams, or smaller, Dr. Potkin's message is pretty simple: making big changes to the landscape or seascape should entail making a detailed record of what it was like before the changes. Take inventory, be thorough. That's a best practice. He does not automatically assume the more strident position of the most negatively impacted by such projects, that said developments must not occur. His position is more nuanced. The trade-offs need to be addressed case by case, in light of clearly presented information, and if a project is to go ahead, then at the very least what the place was like before and after must be well-documented, using techniques used by museums and interpretive centers to communicate to the general public. Keep updating the exhibits, about the Hanford cleanup for example (like OMSI had), with follow-up information, at intervals. Alan keeps checking back on the projects he tracks, so long as he's able, updating his document database. Outcomes research is also essential. Turgid phone-book-sized reports are insufficient to get the info across, any museum curator could tell you that. Given today's cyber-tools, a virtual museum is an affordable requirement, complete with oral histories, videos, and an inventory of flora and fauna and their migration patterns, and their roles in peoples lives. 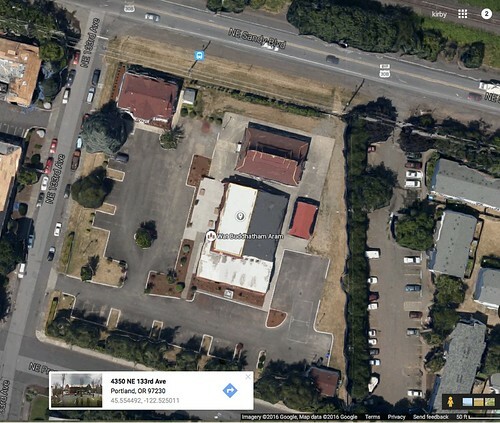 Alan thinks the Bonneville Power Administration made at least a decent attempt of building such an archive, before Celilo Falls went under, thanks to the Dalles dam. One of Alan's favorite lessons revolves around a certain World Bank dam that was hastily retrofitted with a fish ladder that never worked, a last minute token attempt to compensate for the vast tonnage of edible protein that was about to be cut off, a fish migration cycle not fully appreciated. The fish ladder never worked; it was built to the wrong scale for the migration in question. The dam is only able to produce about 40 megawatts of juice, and serves as an ongoing monument to the World Bank's ineptness, at least back then. Have things improved? Look for those on-line museums of "before the project" exhibits, with detailed information about the local lifestyles, food sources, patterns of trade. If you don't find any such exhibits, assume the answer is no, it's business as usual. I got through Costco for under $100, including the $1.50 hot dog + soda pop. I used some of my time at the meetup tonight to follow Ted Kosan's homework assignment, as I'd agreed on the listserv (i.e. in front of witnesses) to enroll in his work / study program. 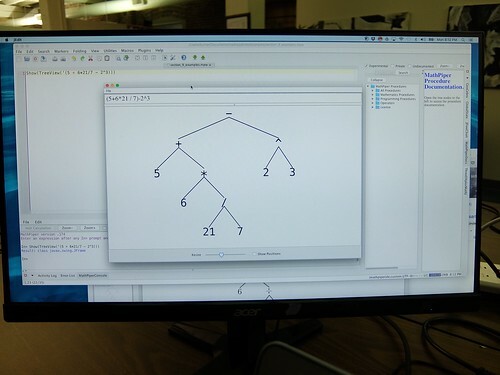 He's going over the basics of a computer algebra system (CAS) which begins by parsing an expression into a tree, as shown above. He's sharing a JEdit-based framework he wrote and shares with the general public under a GNU v2 Open Source license. The Document Object Model is tree-like in having nodes containing more nodes. 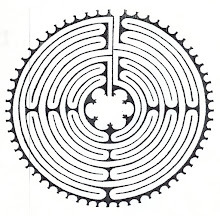 A Tree is a subtype of Graph and is typically a first recursive data structure (think "fractal"). "Phi is the first Fractal" one might suggest as a mantra, on the basis of its self-referencing proportionality. I'd started the day's meetings with Mr. Stockton (Global Matrix) wanting to share some Graph Theory, showing me the same nodes edge-connected in two different ways. What could I learn from this picture? The first graph was like spokes around hubs with longer distance connections between the hubs. The second graph was more like connecting all neighbors to nearest neighbors. No spokes were evident, more like a quilt or lattice. Same nodes. Different stories regarding their relationships. The first graph might be "cell phone provider" (some nodes represent "towers"), whereas the second graph might display "who borrows sugar from whom". I might assume the same geographic layer for both in this story, whereas graphs need not be geographic at all (just topological). Visitors to the code school tonight included a German-speaking duo, from Austria and Switzerland respectively. I talked with the Swiss guy who sat next to me, about his bioinformatics work, training computers to get better at diagnostics. I explained about my work with tetravolumes in Clojure, inside MathPiper. He also liked my Nonsense Numbers. I learned about ternary logic, discussed in Knuth (I'll look it up) and an early Russian prototype named Setun. Ternary logic is non-boolean, yet a logic nevertheless. I've been pointing out that even True and False based languages have Null and/or Undefined but that's not what "ternary logic" means exactly. I'll be doing some more self-study. Another topic already in the wind, that I learned about only recently, is clockless chips, meaning CPUs that are less clock-driven, more asynchronous. We've had something of a paradigm shift in that respect at the software level. I'll be looking for parallels in the literature. I demonstrated doing symbolic calculus to another attender deep into Doing Math with Python (a new title). He'll be getting to all that in a next chapter anyway. An old student of mine (from Accelerated Intro) was there when I arrived, and is currently enrolled in one of the evening boot camps going on in the Business Accelerator building. I'm glad. With Sheri (the director) I discussed the Gift Shop meme, a way for any code school to showcase its own ability to source an on-line swag store, shopping cart model. An on-line Gift Shop is precisely the type of application students come to code school to learn to code, so the Eat Your Own Dog Food aspect is evident. I came away with a T-shirt myself. A code school might stock any number of partially developed Gift Shop variants, some as group projects, some starting out solo. Having a working project on the front lines does not imply other solutions do not exist. We'll always have need for a "next Gift Shop" if only to give students and instructors opportunities to hack on something well-understood (like anatomy lessons). Speaking of gifts, my thanks to Benjamin for cluing me about pathlib and py.test. I'm reviewing these four presentations in the order in which I viewed them. First comes Steven Witten, a really talented guy with a love of spatial animation and a willingness to share his craft. Peter Farrell, who uses Pygame to similar ends, clued me about this talk. Now comes some sober and intelligent advice from John Allsopp, a web developer noticing the trade-offs between mastery / learn-ability and short term convenience at the latter's price, of added complexity. In the rush to "get it done" we may condemn ourselves to "perpetual infancy". Dovetailing with the above, comes this talk from New Zealand by Scott Hanselman, a guy from Portland, Oregon (I don't know him (yet)). He works for Microsoft, which has come a long way in Open Source, since the early days of Sara Ford. The storytelling here is high quality. Like John (above), he gives the ten thousand foot historical view. Whereas I don't share his specific disciplines regarding emails and so on, given a different life situation and modus operendi, I'm respectful of the need for self-discipline, whatever shape that takes. Both of Scott's talks are quirky and state of the art at the same time. I wonder if CBS Evening News, Western Edition, will have picked up on the beer day meme. So many memes, so little time (under 20 minutes, subtracting commercials, right?). I just returned from Hop House where I met up with Glenn Stockton (Global Matrix) and Patrick Barton (Portland Energy Strategies). 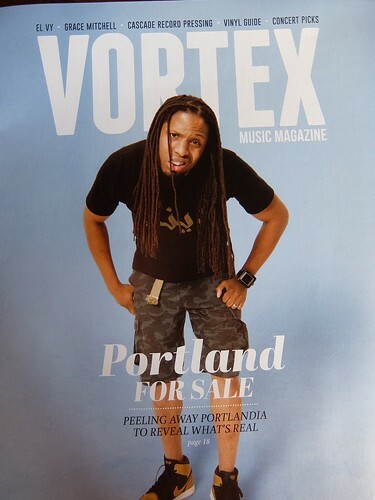 I picked up a Vortex magazine, somewhat ironically about the gentrification of the Portland scene (ironic because Vortex is so slick and glossy, and reminds us of the government-sponsored rock concert set up in 1970, partly as a diversion to keep angry hippies away when Nixon came to Portland that time — I wasn't around anyway). One good thing that happened while Nixon was president was those needing kidney dialysis were given a government dispensation and allowed to live, at least a little while longer, on the government taxpayer tab. My friend Nick Consoletti, indigent, a wanderer, and a walking encyclopedia of useful cultural information (memes again) had his life prolonged by some months thanks to this Nixon Era program, which would likely go unfunded in today's climate. I saw our mutual friend Quinn, who organized the memorial service, running by Glenn and I (summit meeting) on Mt. Tabor. Yes, Glenn wants to fire up more awareness of his Global Matrix meme and since he's all about global data displays, I thought: what better project for the Global Data Corporation (GDC), a meme I've been using since the 1980s at least? GDC was not incorporated using "white man law" (in the Federal jurisdiction). I guess we'd call it "off shore"? Anyway, I added a new Github subfolder about it this morning, containing some buried PR for Glenn's initiative. Other PR is buried even more deeply. Speaking of "buried", did you know the official word for where the urns are kept (containing ashes) is called a columbarium? That's funny. "Bury 'em" (an alternative way). Given my first name, Kirby, is sometimes translated as "Kirk By" i.e. "By the Kirk" as in Churchyard ("Kierkegaard"), I sometimes say "Kirby means cemetery". So then "Urner" sounds likewise funereal. But it isn't. More fitting with "Urner" is URI, or "universal resource index". Some writers found that too pretentious or something and "URL" (as in "Uncle URL" — I had an Uncle Earl, married to Aunt Betty my grandma Margaret Reilley's husband) became more common. Either way. the World Wide Web was invented in Switzerland (CERN) where the Canton of Uri is. That's where "Urner" comes from (Urner = person from Uri). Speaking of Urner, Kirby, I'm a complete idiot sometimes. Like today I was preoccupied thinking about who knows what (not me) and wandered away from the cash back I'd requested at the supermarket. Those were the most expensive Diet Dr. Peppers I ever purchased. I also confessed on Facebook and publicly resolved to make it up by giving up beer for two weeks at least. $5 / pint x 8, plus it'll actually be good for me. Really, I don't need to drink beer, which mainly contributes to my stupidity and waistline both. An old theme in these blogs. I'd be better off savoring the memories. Yes, the IPAs are really great here, one should definitely try one or two — and I have, many times. I have newly acquired a taste for Bubble Tea, and have therefore made Fat Straw on Hawthorne a next hangout. They know their process. I'll need to explore more permutations. The USPO miss-delivered and envelope so I walked it down to the corner market in question, procuring some drinking supplies, which I made use of on Patrick's porch. He's deep into species recognition issues and realizes human eyeballs on the problem, experts identifying known specimens, will help with machine learning. His projects could staff an entire company. He tends to work on that scale. Out of pocket for health insurance in April: $1,313.77 for myself and one dependent. I had to state my case vociferously that March was covered as well. No that's not an April Fools Day joke. This posting was though -- a lot less feather-ruffling than last year's post, about an upcoming Pycon in Cuba, which ironically turned out to be true enough.